Product placement: How many can you spot? Forget family and feast. 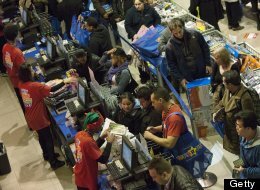 Thanksgiving, or whatever we'll call it in the future, now marks the onset of extreme shopping. 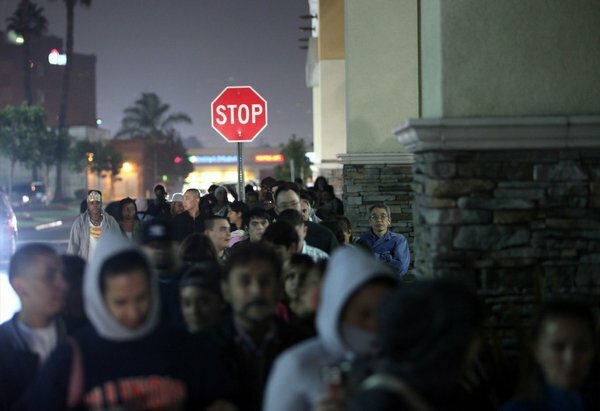 The news is full of photos of the frenzy – from tent cities springing up in retail parking lots to the latest body count at the doors and on the floors. Mayhem and madness. And if anyone in the mob had any turkey, it wasn’t cooked by grandma. We’ve become a nation of tailgaters. 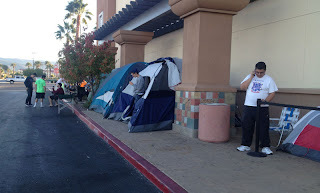 What used to be a fun time before the game is now standard procedure for midnight showings of wildly anticipated movies, the sale of popular books or blood-and-thunder games or the latest Apple product - and now for the shopping event of the year. But is this all bad? Think about it. What is Thanksgiving these days besides an obligatory reunion of relatives who sort of hate each other. The critical aunt. The bossy mother-in-law. The two or more alpha males rabidly routing for opposite teams. The sulking teen glued to the iphone. The rampaging brats. Now look at the friendly card game of total strangers in a parking lot. Granted, soon enough they’ll be pushing and shoving and threatening to stab each other in the stampede through the door. But the preceding 24-48 hour campout? Priceless. And considering our other societal scourge, isn’t shopping healthier than eating? "It should be noted that while Thanksgiving has become a holiday deeply associated with America, there have been numerous ‘harvest’, autumn, and ‘thanksgiving’ festivals throughout history including Grecian, Roman and Egyptian celebrations. A day for giving thanks was celebrated by the early English settlers and the Pilgrims who settled in the “New World”. The winter of 1620 was a brutal one (nearly half of those who came over on the Mayflower died). Native Americans took pity on the travelers and taught them survivalist skills, which included planting and harvesting corn, the staple of the area. And by the grace of God, they were blessed with a bountiful harvest season. The remaining 56 colonists were so grateful that they held a three-day festival to express their appreciation and gratitude . They invited Squanto and the leader of the Wampanoags, Chief Massasoit, along with 90 natives who had helped them survive their first year." 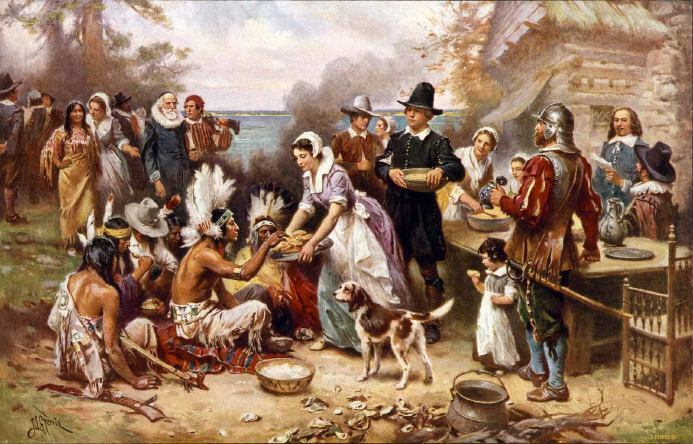 The first Thanksgiving more than likely had venison, ducks, and geese along with fish, clams, lobster and corn. Lacking flour, there wouldn’t have been rolls. Pumpkin pie hadn’t been invented yet, and cranberries weren’t native to the area. No mashed potatoes, either. Europeans of the day were suspicious of potatoes. Jahnavi closes with, "It is a wonderful thing to have an attitude of gratitude–not just one day of the year, but every day. And if not every day - then let us at least remember to be grateful on the day that is set aside for this purpose. 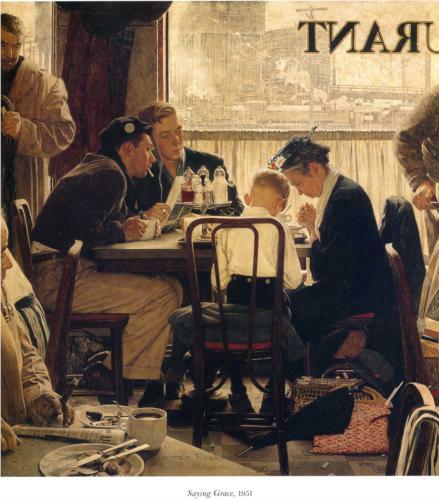 Thanksgiving: it really isn’t about the turkey, after all…." 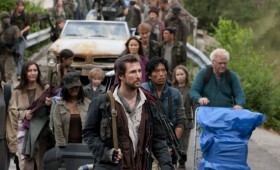 When it comes to zombie attacks, aftermaths of alien invasions, and post-apocalyptic militia cultures, count me out. 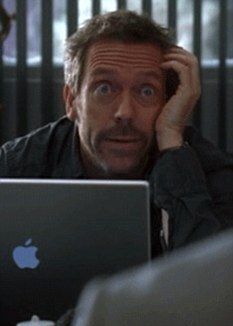 Husband tunes in, I go upstairs to work on blogs. I suppose all these dreary and danger-fraught survival tales stem from the times. What we’re experiencing now is a far cry from the prosperity and optimism that fostered the likes of Star Trek, Brady Bunch, Charlie’s Angels, or Friends. But even as a struggling, slum-dwelling continuity writer, I never sought gore, dirt, and desperation as my escape. C’mon, People! Where’s the comfort in that? 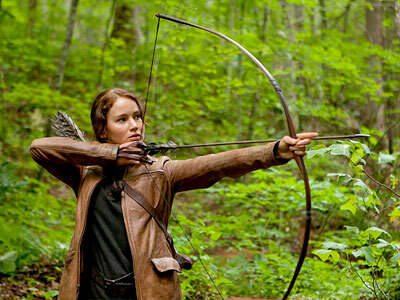 Nevertheless, I watched Hunger Games with Husband last night. Five minutes past the credits I wished I’d read the book(s) first. 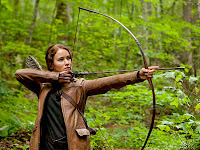 Author Suzanne Collins surely gave a better explanation for the oppressive situation in the Districts than Hollywood, which held about as much water as a spaghetti strainer. Near as I could figure, their poverty was punishment for attempting to secede from the union. Uh…okay. The lust for murderous games, on the other hand, is quite plausible. At least it has precedence. Think ancient Rome and Nazi Germany. And probably Survivor, the Next Generation. That said, I found both the acting and action done to perfection. It definitely held my interest despite one or two groans and eye-rolling. The kids in the cast, headed by Jennifer Lawrence, were immediately engaging. The adults less so, though the stylized hair, make-up and costumes were no more over-the-top than the 1970s. Or KISS. So, yes, I’ll admit it was worth a look. But when I need to be transported away from grim reality, I’ll take a Disney fantasy or The Hobbit, thank you. I was looking for my car in the grocery store parking lot when I heard vaguely familiar strains of unusually compelling rock music. Finally zeroing in on the source, I boldly approached. 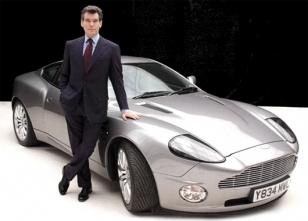 It was a sensible-looking compact, windows rolled up, and a well-groomed young man probably in his late twenties behind the wheel. I still can’t believe I had the nerve to tap on his window. I fully expected him to whip around, see a grandma, and recoil. But he didn’t even seem startled by the intrusion. The music? Oh, it’s “Dream On” by Aerosmith. Only this recording was by Glee. Glee? The TV show Glee? Yep. With the rest of the record industry on the skids, the author explains, music performed on Glee is enjoying phenomenal success on iTunes. We’re talking 11 million albums and 36 million single tracks sold by the end of 2011. Then there was the cast’s concert tour that scored another $40 mil. On Billboard’s chart of the Most Songs on the Hot 100 List, Glee’s is double that of the runner up – which happens to be Elvis. 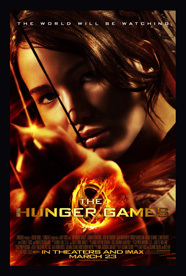 Pretty good for a sleeper hit that debuted 2009 on Fox. Probably the scariest of these discoveries is Are You Smart Enough to Work at Google? 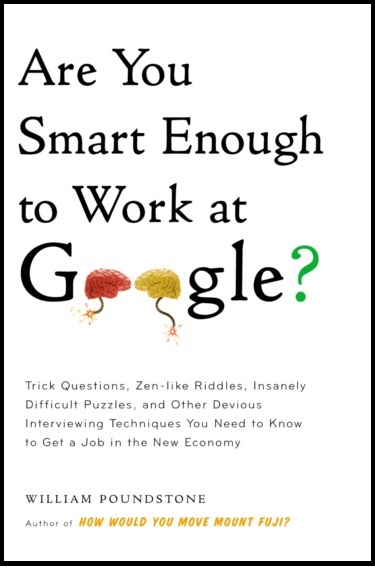 Subtititle: Trick questions, Zen-like Riddles, Insanely Difficult Puzzles, and Other Devious Interviewing Techniques You Need to Know to Get a Job in the New Economy. It was written by William Poundstone, author of How Would You Move Mount Fuji? – which sounds like another candidate for this post. 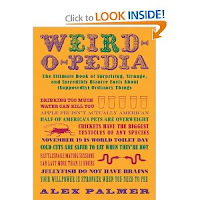 And for trivia junkies, I give you the Weird-O-Pedia, “The Ultimate Book of Surprising, Strange, and Incredibly Bizarre Facts About (Supposedly) Ordinary Things.” It was compiled by Alex Palmer who, in spite of writing for such illustrious journals as The New York Post, Huffington Post, and Writer’s Digest to name only a few, appears to have entirely too much time on his hands. No, I didn’t know humans were the only animals who eat spicy foods, that Germans eat an average of 71 pounds of apples a year, or that apples, celery and strawberries have the highest levels of pesticide residue when they get to the produce aisle. I didn’t even want to know that. 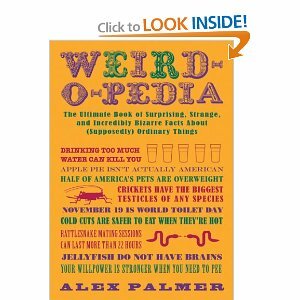 He also includes a lot of potty-type stuff, so don’t buy it for Aunt Mable. 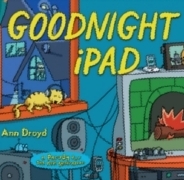 But this one really tears it: Goodnight iPad, a parody of the gentle classic Goodnight Moon, the one our kids and grandkids couldn’t go to bed without. Supposedly penned by Ann Droyd (right), the intent is to be relevant for the next generation. So…is everything that happened before iPads irrelevant? Wow. How did we survive on nursery rhymes and fairy tales from medieval Europe? Granted, it may be a hilarious spoof aimed at grownups. I don’t know. Amazon doesn’t have the Look Inside feature on it. So for now I’ll give it the benefit of the doubt. 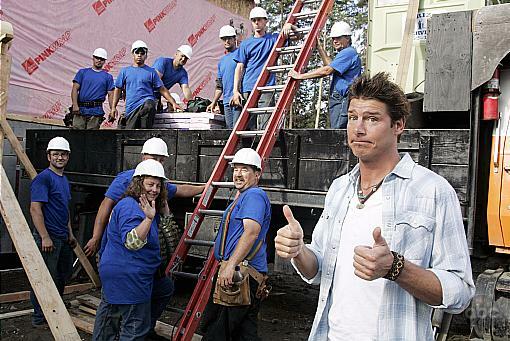 Extreme Makeover: Home Edition is prime real estate for brand displays: Sears tools, Pella windows, and Ford pickups, to name a few of the most obvious. The Amazing Race features Fords at every possible turn, Survivor tribes have gotten all kinds of bonanzas from Home Depot, and American Idol is driven by Apple iPods and judges sipping from red Coke cups. Strategies range from a brief glimpse of a product to having it play a key role in the plot. So is it working? Are viewers racing from their TVs into the stores for the brands appearing with their favorite stars? According to a recent report by Nielsen, viewers remember product placement in scripted shows more than in reality programs. This surprised me because reality TV has always been the leading venue, with products actually tied to the themes and storylines.